Are you fed up with finding your bananas bruised and squashed in the fruit basket at home? 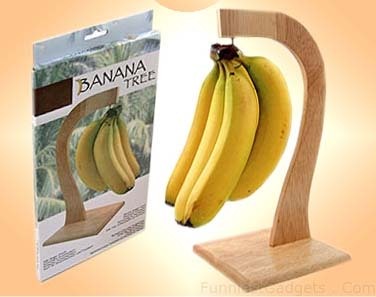 Banana Tree isÂ a clever solution to keep yourÂ bananas fresh andÂ prevent bruising. It looks fun also. My mother actually bought one of these, bless her! Apparently placing bananas next to other fruit causes them to perish faster, so one uses said banana tree to keep them separate.